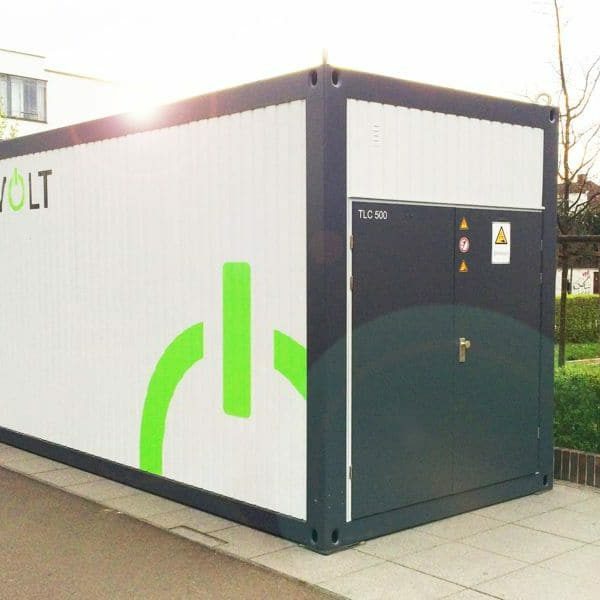 The container can be carried around and can be connected in low voltage systems to numerous generation units, like photovoltaic plants, biogas and wind turbines, CHPs and hydroelectric power plants, even in combination with one another. The battery accumulator can be used both on and also off grid. Due to the short discharge time at high power and also for capacitance discharges, the accumulator starts off an effective energy supply, in case of need. 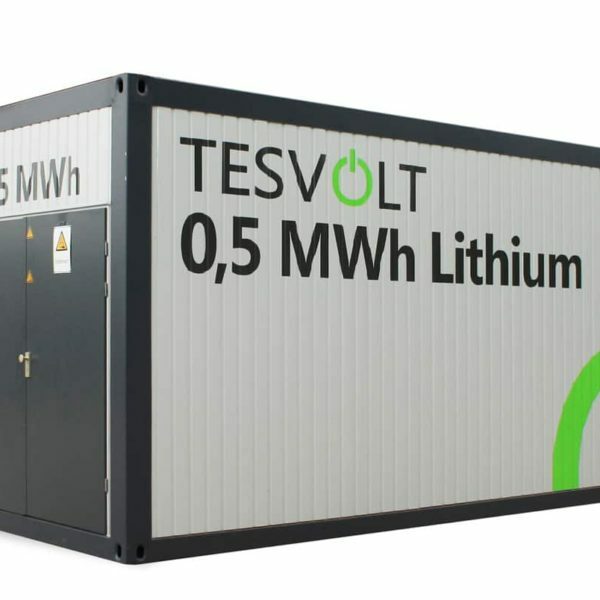 The TESVOLT TLC 500 lithium storage container enforces the technical innovations, as by the specially developed by TESVOLT unique active bidirectional transmissiontional battery management system (BMS) new standard for modularity and efficiencies. Because of the special control, the cells are optimally charged and discharged to ensure a long shelf life. TESVOLT-Lithium-batteries do not contain environmentally harmful heavy metals and are intrinsically safe. The innovative BMS sets new standards for efficient and safe storage! TESVOLT, named after inventors Nikola Tesla and Alessandro Volta (inventor of the battery), develops and produces flexible battery storage systems with high capacities. 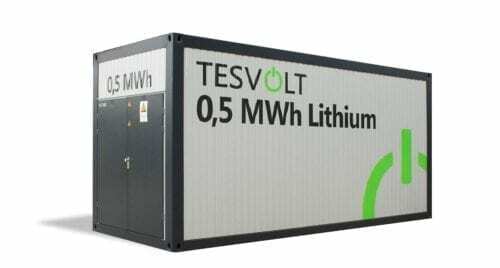 TESVOLT has advanced existing technologies with its strategic partners, for example SMA SOLAR Technology AG, and focuses primarily on quality “Made in Germany”. The energy storage systems are produced in Germany, and the battery systems are also assembled in Germany. The company was founded with the ambition to continue to drive the renewable energy sector forward. The company’s co-founders, Daniel Hannemann and Simon Schandert, have been working in the photovoltaic sector for many years, so they have excellent knowledge of the market and innovations in the renewables industry. Their main goal was to develop and sell economical commercial and industrial storage solutions. Join our ZERO Home Bills Community. BEST Products from the BEST Brands at BEST Prices for ZERO Home Bills on ZEROhomebills.com by Solaranna.